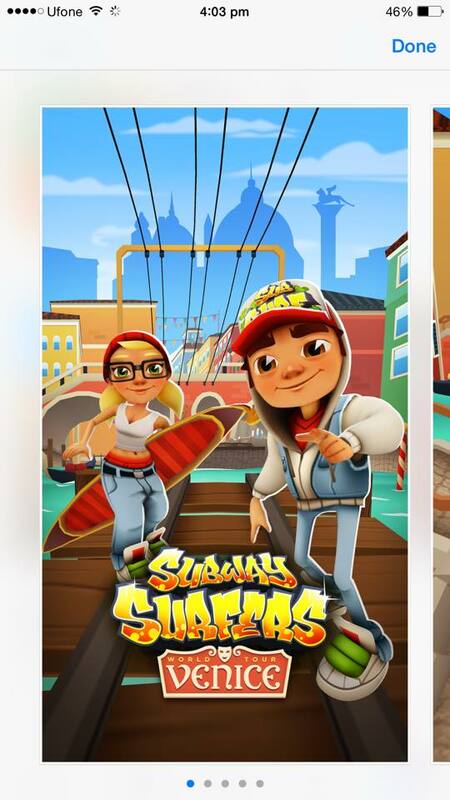 The Subway Surfers on its continuous run has just reached European shores with it latest edition comes up with the name Subway Surfers Paris. As promised by the developers behind this epic successful series endless running game, The next stop is in Europe and they have picked the Paris to stage their next campaign. 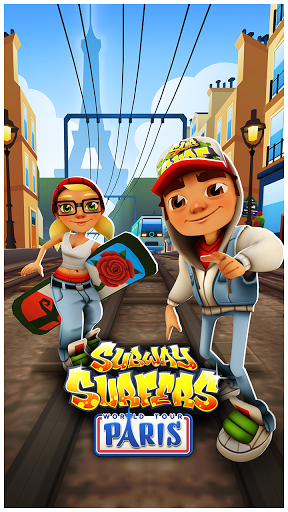 The overall theme of the game remains very much the same, as this endless running games has been reaching the new heights since its launch. 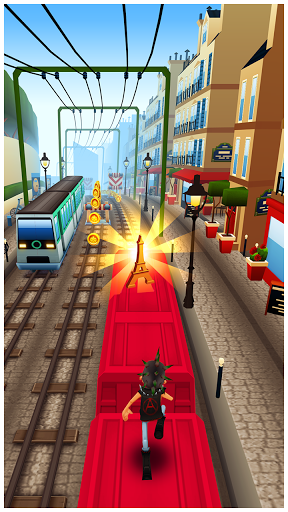 The Subway Surfers Paris has been the latest addition to the game. 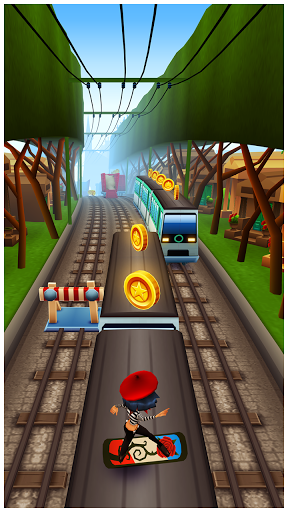 The stage is set for you to pace your show through the Metro of Paris and get your high scores by collecting coins and run as far as you can. The new game has a new character as well which has been a new addition to the limited time offer character in the previous version of the game. The character has been named as Coco. The Coco character can be unlocked for 95,000 coins but the main thing is that you have a ticking clock on the button which shows the time limit you have to buy this character or it will vanish. 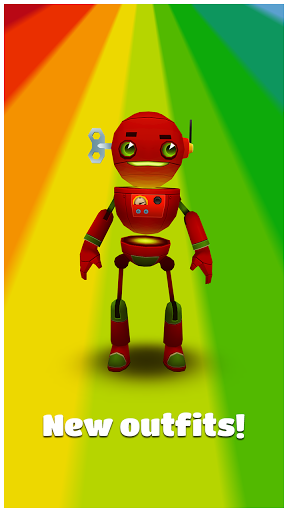 All other characters are same except the new outfit for Tagbot. In new boards you also have the special Paris version with the same time limit offer. Meanwhile you should keep an eye on the newly added missions and the Eiffel Towers that shows on top left corner of the screen. Collecting them on the run will give you some new prizes ever week. The graphics have been even more appealing as the developers have poured some more colorful back ground in this edition of the game. Else we sisn’t found anything new added to the gameplay, as everything else remains the same including the power upgrades which remain the same as Jetpack, Super Sneakers, Coins Magnet, and 2X multiplier stars. The images of the game-play have been uploaded here. 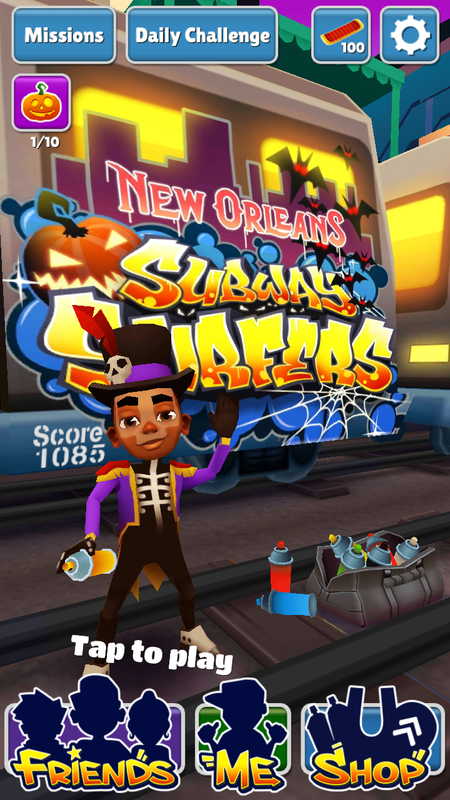 Meanwhile stay tuned so to get the Modded version of the Subway Surfers Paris. As soon as we get it. Follow us on Twitter, Facebook or Google +, and stay tuned for upcoming events.